The development of the tool has been carried out on a measuring instrument for measuring the length of the metal expansion by a single diffraction method that has been made by the previous researcher. This research is based on the problem factors found and the results of experiments that have not been significant. 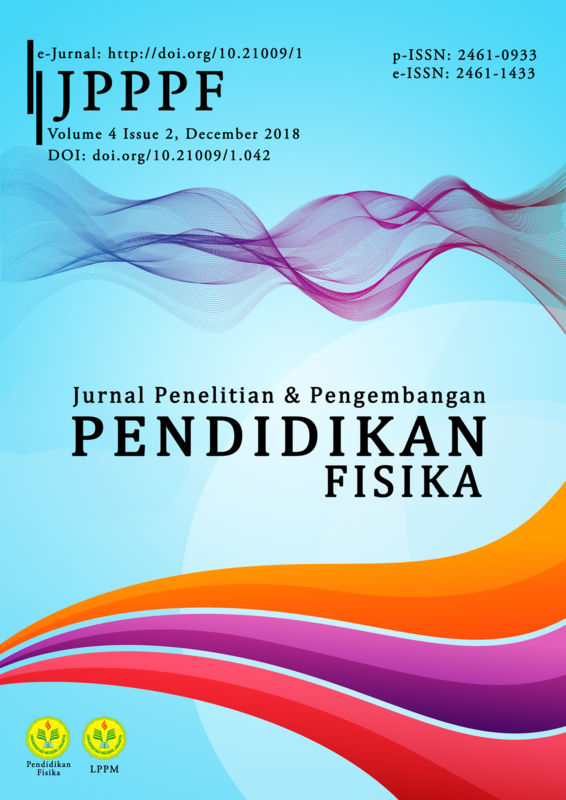 In this study developed the design of the main tool holder form, the temperature measurement with the thermocouple sensor connected to the PC, and the measurement of diffraction pattern distance with digital video analysis techniques using Tracker software. The development of tools and measurements that have been done show very good experimental results. Experimental results on measuring the coefficient linear expansion of aluminum metal obtained values with high accuracy and precision. Obtained the value coefficient linear expansion of aluminum metal of measurement results is (23.194 ± 0.3102)×10-6/oC with relative error rate 0,84% and relative standard deviation 1.34%.